The Humsafar Trust (HST) with support from Save the Children had collaborated with 6 regional partners to implement IDAHOT activities. The event was organised by The Humsafar Trust in collaboration with Delhi State AIDS Control Society (DSACS). The event was named as “Sweekar” (Acceptance). The objective of the event was to disseminate the right privacy judgement among the TI NGO/CBO working in Delhi. The event also included of film screening and discussion on section 377 and current status of TG bill in parliament by legal experts. The objective of activity was to help the MSM TG TI partners to enhance their knowledge and address the crisis issues. 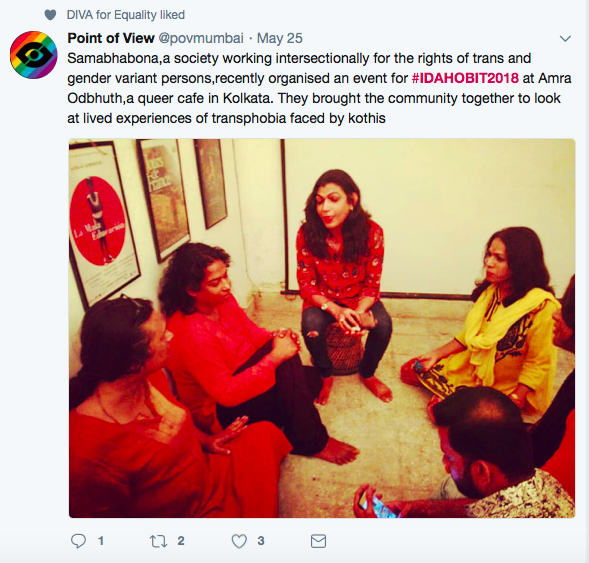 On May 19, 2018 Abhimaan- LGBTQ Support group had organised an IDAHOT (Rising with Pride – Empowering the LGBTQ) event addressing the issues of homophobia, transphobia, stigma around HIV AIDS and family acceptance in support of Project MSA and The Humsafar Trust. The event was organized at the Hotel Citrus in Kolhapur where 25 participants from the community and allies of the community participated. The event started with the welcome address by Vishal Pinjani, Founder member of Abhimaan. Further Murugeshan gave brief introduction to the IDAHOT and its importance of community mobilisation and need of advocacy with stakeholders. This was followed by films screening on the themes of HIV prevention, Drug use and PLHIV discrimination and panel discussion where Murugeshan and Tinesh Chopade disucssd of mental health concerns of community and answered the questions from the forum. The discussion was moderated by the Vishal Pinjani. The event evening was informative and addressed the issues of homophobia, transphobia, stigma around HIV and AIDS and family acceptance. At the end of the session, family member of the community people who participated in the event were felicitated by the Humsafar Trust and celebrate the family acceptance. 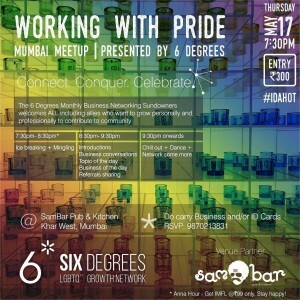 The coming out stories were shared and individuals were felicitated for their courage. Over 50% of LGBTQIA+ (lesbian, gay, bisexual, trans, queer, intersex, asexual and others) community in India has reported being harassed or bullied online. On May 17, the International Day Against Homophobia, Transphobia and Biphobia, Delta app, an LGBTnetworking app, launched a campaign #StrongestTogether with a video to encourage the community to stand against online harassment. Celebrating the International Day against Homophobia, Transphobia and Biphobia, the highlight of the event was a fashion show in which members of the LGBTIQ community walked the ramp showcasing designer outfits, followed by a cultural programme in which several plays and stage performances were presented. On the occasion of the International Day Against Homophobia, Biphobia and Transphobia (IDAHOT Day), 34 diplomatic missions in the Capital reaffirmed their countries’ strong commitment to promote the universality of human rights and to ensuring that everyone, regardless of gender identity or sexual orientation, enjoys these rights without discrimination. The signatories to the joint pledge were the missions of Australia, Austria, Belgium, Brazil, Britain, Canada, Costa Rica, Croatia, Czech Republic, Denmark, European Union, Finland, France, Germany, Greece, Iceland, Ireland, Italy, Japan, Latvia, Lithuania, Luxembourg, Malta, Mexico, New Zealand, Netherlands, Norway, Portugal, Serbia, Slovenia, Spain, Sweden, Switzerland and the United States. This year, events organised by foreign missions in New Delhi around IDAHOT day included the lighting up of embassies in the iconic colours of the LGBTI rainbow flag, hoisting the rainbow flag on the embassies’ flagpoles, LGBTI film screenings, lectures, as well as social media campaigns using the hashtags #MyCountry4Equality and #IDAHOT2018. These diverse celebrations raise awareness about this important issue and foster a sense of community and belonging to advance human rights for all throughout the world. When all persons are protected on the basis of equality and with dignity, global stability is enhanced. GAURAV is community based organisation working for promotion, protection and enhancement of health and rights of community members since 2010 in Maharashtra, India. 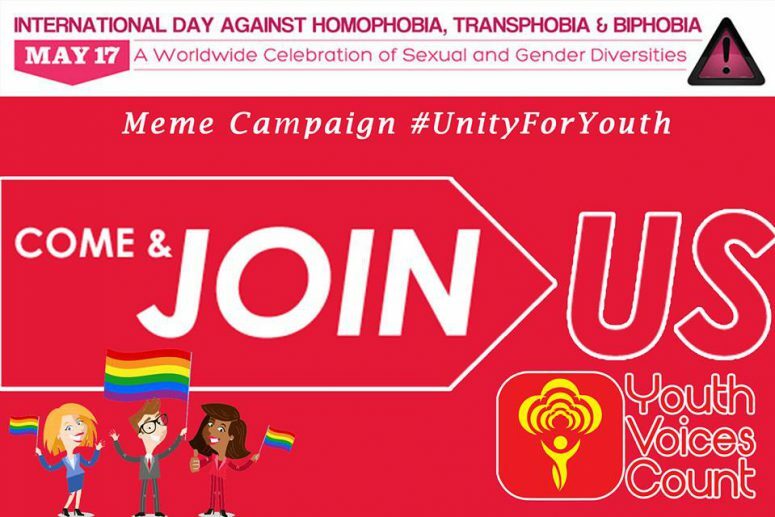 Like every year, GAURAV organisation is once again celebrating annual International Day Against Homophobia, Transphobia and Biphobia (IDAHOT) celebration on May 17, 2018 through various activities with global theme of “Alliance for Solidarity”. 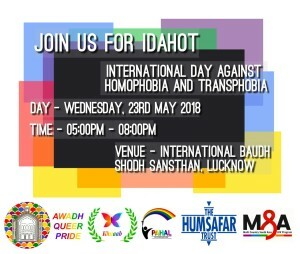 Organisation is doing following activities on IDAHOT 2018 in order to create awareness in the society. Do Share and Participate in this initiative. Asian Youth's Voice Count !